CAROLINELEAVITTVILLE: Art. Life. Loss. A piano. 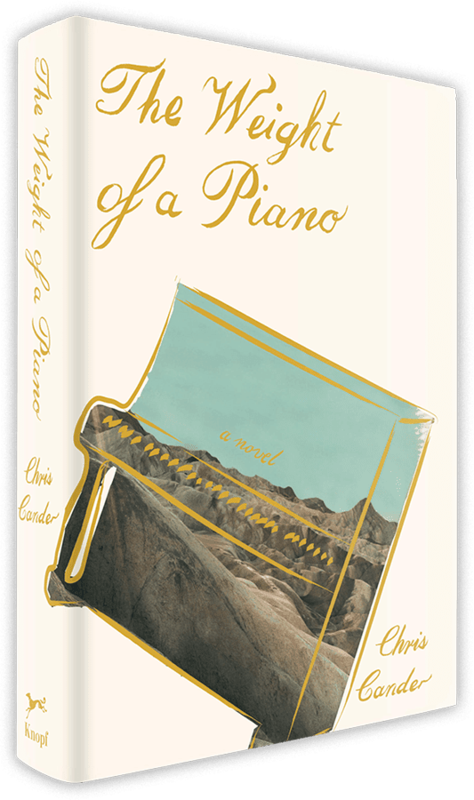 Chris Cander talks about THE WEIGHT OF A PIANO, why it's so wonderful hearing from her readers and so much more. Art. Life. Loss. A piano. Chris Cander talks about THE WEIGHT OF A PIANO, why it's so wonderful hearing from her readers and so much more. Chris Cander is the author of 11 STORIES and WHISPER HOLLOW, which was longlisted for the Great Santini Fiction Prize, Southern Independent Booksellers Alliance; nominated for the 2015 Kirkus Prize: Fiction, Kirkus Reviews; and chosen for the Indie Next Great Reads List, American Booksellers Association. In her latest incandescent novel, THE WEIGHT OF A PIANO, two women, a Soviet concert pianist and a young mechanic, discover their connection to the same Blüthner piano--and to each other. Thank you so much for being here, Chris! I absolutely loved the idea of an upright piano being key in a novel, and how it winds its way through the pages like a refrain. Which brings me to my favorite question: What was haunting you at the moment that made you know that this was the moment when you had to write this particular book? I've long struggled with my relationship to objects with provenance, mostly because by nature I appreciate minimalism and order. But I was born into a family of artists and archivists, and we have a lot of stuff: my grandfather's countless woodworking treasures; handmade quilts and blankets from the women on my mother's side; my father's photographs, souvenirs, and mementos that have been passed down from one generation to another. Part of me wants to preserve everything with the care and love it deserves, and part wants to set it all on fire. So the idea of a woman having only a single physical object—an enormous, expensive, burdensome one—that represents both her parents and her lost childhood fascinated me. I wanted to know what she’d do with it, because I also want to do know what I will do with all the things I'll eventually inherit. This wonderful novel spans so many time periods, as well as countries and history, that I am wondering about your craft. Do you map things out? Have charts? What kind of writer are you? I tried plotting once, and it was the emotional equivalent of solitary confinement. There was no freedom in it, no joy. 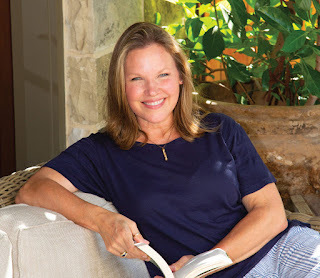 For me, creative writing is an act of spontaneous exploration, like an unplanned road trip. But when it comes to research, I'm fastidious. I keep precise records of what I've read and whom I've interviewed--and how it all informed the project. I use Aeon software to create timelines, so that every event is precisely noted. (If you want to know the moon phase or the exact age of a character on page 214, for example, I can tell you.) I do a ton of research, but use only enough in my novels so that the reader trusts me enough to lose herself in the story. I'm also particular about my work ethic. When I’d been working on my first novel for a few months, I decided to calculate my average daily word count, and I came up with an average of .87 pages. I loved that figure, because it sounded so surmountable, and yet I’d made such progress. It became my mantra and my output goal, and now, my family and friends know exactly what I mean when I say, “I’m going to do my .87.” Any day I meet or exceed my .87 is a good writing day. Whether the 300 or so words are actually any good isn’t as important—especially on a first draft—as the commitment to the work they represent. I also love the title, because that word “weight” is really so freighted. Can you talk about this please? The current administration of our country has inspired/provoked in me an insomnia-inducing concern about the thoughts, emotions, and actions that can draw people together or wrench them apart, and the wounds they inflict on others as they try to heal themselves. 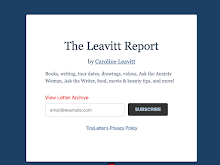 How about this: Do you like hearing from readers of your books? When I fall in love with a novel, I reach out to its author to say so, and to thank her for those two or three nights of reading pleasure. Because I mean it, and because I know the gruesome, inspired, tiresome, amazing, thankless, graceful, painful, divine work that goes into writing a book. I think it's nice to express gratitude for work that's made an impact, and I never expect a reply--though the kindest ones often do. And so yes, when a reader reaches out to me, I'm incredibly grateful they took the time to do so. In fact, I framed the first love letter I received from a reader and it still sits on my desk these years later, reminding me that I'm connected not only to the imaginary world, but to the real.